Followers of Jesus are called to work hard to support themselves and be diligent in good works, and to warn lazy freeloaders who meddle in the affairs of others. In part 13 of 1 & 2 Thessalonians: Hope In Trying Times, Pastor Dan Cox reads from 2 Thessalonians 3:1-18. When Jesus returns, He will judge those who have opposed Him, and honor those who have honored Him. 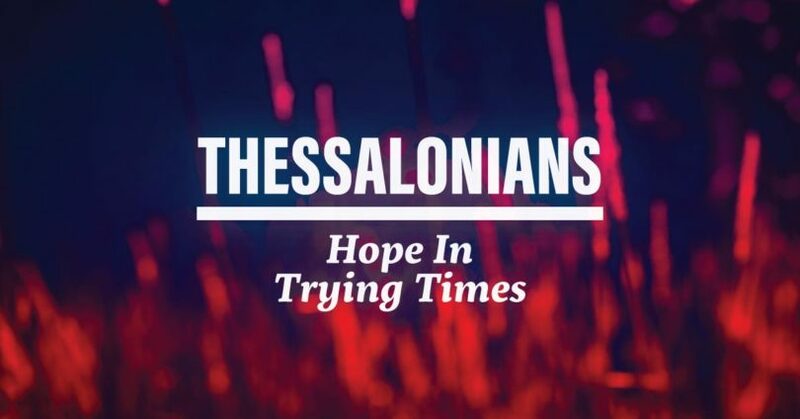 In part 10 of 1 & 2 Thessalonians: Hope In Trying Times, Pastor Dan Cox reads from 2 Thessalonians 1:1-2:12. You will be made perfect in both soul and body, and will reign forever with Christ in unimaginable glory. In part 9 of Lavished: Your Riches in Christ, Pastor Dan Cox reads from 2 Thessalonians 2:13-17, 1 Corinthians 15:50-58, Revelation 21:1-7, and 2 Corinthians 4:7-18. From before the creation of the world, God has loved you and chosen you to receive all the blessings of salvation. In part 2 of Lavished: Your Riches in Christ, Pastor Dan Cox reads from 2 Thessalonians 2:13-17. God has called us to share in the glory of Jesus Christ and we must therefore stand firm in obedience to the end. Pastor Dan Cox reads from 2 Thessalonians 2:13-17.